John Baptist De La Salle was a man of his time. 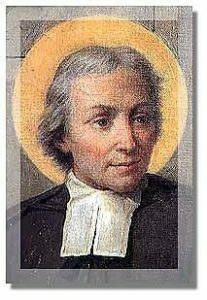 Born in France in 1651 to a wealthy family (his father was high in the legal profession), De La Salle would become one of the most innovative educators and thinkers of modern times. He lived in an age of great thinkers and of great people. He grew up whilst St. Vincent De Paul was establishing his great work with the poor and when in England; the philosopher John Locke was penning his ‘Thoughts on Education’. That is not to say that life was easy. De La Salle (a priest) encountered many obstacles within the Church and from civil authorities that had something to lose with the establishment of a ‘free’ Christian Schools. Indeed, in 1691, De La Salle, with two other Brothers, made a vow of association: to remain together, to achieve God’s work that had been entrusted to them, despite adverse circumstances.